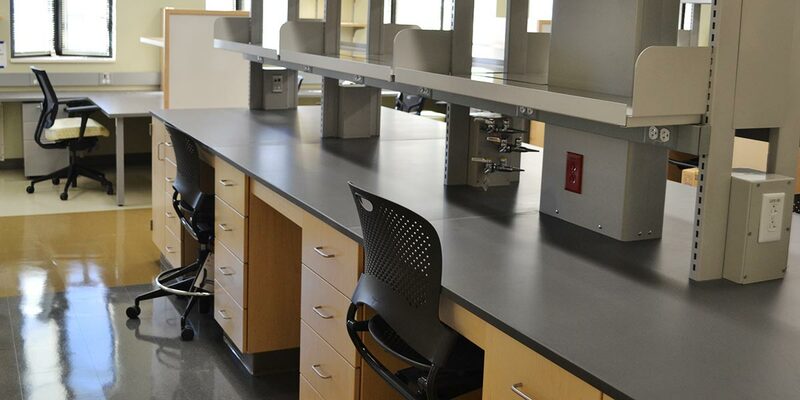 Bioscience Connecticut calls for a phased renovation of seven research floors in the Health Center’s main building to replace small outdated labs with modern and open, flexible research labs, lab support, and research office space. These changes, together with new faculty recruitment plans, are expected to lead to a doubling for federal and sponsored research awards and the development of new innovations in technology transfer and commercialization. Replacement of the building’s outdated, inefficient mechanical infrastructure systems (heating and air conditioning, electrical, and plumbing) with appropriate systems to provide safe, energy efficient environments for the bioscience programs. Addition of 28,000 square feet of new incubator space to include space dedicated to labs for research incubator companies which could accommodate up to 60 start-up businesses. This will include incubator space in the main building as well as the Health Center’s Cell and Genome Sciences Building.